​Professional service with a personal touch. We may have more than a decade of experience under our belts - but don't let that fool you. We love trees. And we love helping to ensure that your property is safe, beautiful, and well-taken care of. 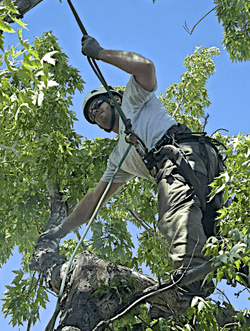 Stuvel Tree Care is a local, Colorado-based business. We offer the safest techniques in tree removal, planting, pruning, stump grinding, cabling and a host of other services to ensure your yard is safe and eye-catching. Chad Stuvel, owner and operator, is an arborist with over a decade of experience. He founded Stuvel Tree Care with a simple goal in mind: to provide excellent service while doing what he loves. Chad regularly attends trainings to ensure that his skills are current and cost-effective.